All dogs love to chew, it is a way for them to release extra energy and stress, but you certainly don’t want your dog or puppy chewing through your shoes or furniture. That is why you need to redirect that chewing onto a tough and durable chew toy made especially for dogs. When you have an aggressive chewer you know all too well that not just any toy will do, because aggressive chewers will chew and rip apart any toy within minutes, and its usually to get to that annoying squeaker inside. Not all chew toys are built to last, and they certainly cannot hold up to the heavy chewing of some dogs. So before you go out and waste more money on toys that claim to be tough and indestructible, you will want to read this article. In this article you will learn what to look for in an indestructible dog toy, what toys to avoid for aggressive chewers, and the top 10 indestructible dog toys. Do Indestructible Toys Really Exist? Everyone knows that puppies chew, it is a part of growing up. Puppies will enter their most active chewing phase when they are teething, this usually occurs when they are about 4 months old and will last until they are about 6 months old. Chewing is a normal behavior for all dogs, regardless of age. Dogs will chew on sticks, bones, and anything else available. Chewing helps strengthen their jaws, and helps clean their teeth. Dogs will chew for fun, and for stimulation, and to relieve stress and anxiety. While some chewing is normal, there are times when your dog may excessively chew. When this occurs it could be from lack of exercise and mental stimulation, or from being stressed or anxious. Certain breeds are known to chew more than others, and this list includes Labs, Golden Retrievers, Huskies, German Shepherds, Australian Shepherds, Beagles, Pitbulls and Jack Russels, this is just to name a few. In my opinion if you are the owner of a dog that is determined enough to destroy a toy, no matter how durable and tough it is, they will. For these dogs indestructible does not exist, but toys that are close to being indestructible do exist. The durability of a dog toy depends on the size and strength of your dog, how often your dog plays with it, and how rough your dog is with the toy. Indestructible dog toys are meant to last longer, and they are made from strong materials like rubber. Indestructible toys are meant to be safer for your dogs, because they do not rip apart or break easily, or cause your dog to ingest any broken pieces or material. While no toy is 100% indestructible or chew proof, there are definitely some great toys available that are nearly indestructible. Obviously you will want to look for a toy that is durable and also fun for your dog. You also want to have your dog’s safety in mind. It is important to be aware of what the dog toy is made of, especially if your dog will be chewing on it. You will want to be sure the toy is made from non-toxic materials. Even if the dog toy claims to be indestructible, a determined dog will try to destroy it, so you will want to make sure the toys you choose are strong enough to withstand heavy chewing. The toughest chew toys for dogs will be made of hard rubber, and will be durable enough to last for a long time. Strong and thick rope style toys are a great option too, as they are very durable and also help to keep your dog’s teeth clean. When selecting a toy for your dog size matters, you do not want to get a large dog a small toy that could easily be swallowed, such as a small bone or ball. When buying toys for puppies, you will want to make sure the toy is intended for puppies. It is also a good idea to determine what type of chewer your dog is, whether your dog is a gentle chewer, or an aggressive chewer, and base your toy purchase on that. As with any toy, it is best to keep a close eye on your dog, so that no harm is done to your dog or the toy. Toys that have stuffing in them such as plush toys are cute and often don’t cost much, but they are easily destroyed by an aggressive chewer. Plush toys become dangerous once they are destroyed, the stuffing inside of them can be ingested by your dog and cause harm. Squeaker toys are also easily destroyed, because your dog will be determined to get to the squeaker, and that could be a choking hazard. Toys made with latex and vinyl are not recommended, because an aggressive chewer can easily tear them apart, and ingesting small pieces is harmful to your dog. This chew toy is so durable it comes with a 100% Guarantee against damage. If your dog damages this bone West Paw will replace it. This toy is made in USA, it is safe and non-toxic. Also, dishwasher safe. Available in 3 sizes and 4 vibrant colors. This dog bone bounces and it floats, perfect for a game of fetch in the water. This interactive dog toy will keep your dog entertained for hours. Stuff your dog’s favorite treats inside, or freeze some peanut butter in it. When the treats are all gone, this toy will bounce and float in the water. This toy is built to last, comes with a 100% Guarantee, and it is safe, non-toxic, and dishwasher safe. 2 sizes available, and 3 colors. As with all toys from West Paw, this Frisbee comes with a 100% love it Guarantee. It is lightweight and durable, but soft on your dog’s jaw. 4 bright colors available as well as a glow-in-the-dark one. This Frisbee flies far, bounces and floats in the water. Perfect for dogs who love to play fetch, and it is flexible enough for tug of war. Made in USA, safe and non-toxic, and dishwasher safe. When it comes to durability KONG is one of the most trusted brands that offer safe and quality dog toys. The KONG Extreme is made for power chewers, and is the most durable out of the KONG line up. It is safe and non-toxic made from all natural rubber, and made in the USA. Use the KONG for playing fetch, with its unpredictable bounce it will surely entertain your dog. It is also great for stuffing your dog’s favorite treats inside, and many people use it for crate training to keep their pup entertained. This baseball sized ball claims to be virtually indestructible, and it is even backed by a Lifetime Replacement Guarantee. If your dog happens to somehow destroy this toy, the company will replace it, and they also offer a 100% money-back guarantee if your dog doesn’t like it. This ball is made from tough industrial strength rubber, and has been tested on power chewers like Pitbulls, German Shepherds and Mastiffs. 100% safe and non-toxic, you can feel safe knowing your dog is not chewing on any harmful substances. It is the size of a baseball, perfect for medium to large breed dogs. Comes in orange color. This soccer ball is perfect for heavy chewers, and it is 100% Guaranteed tough. Made in the USA, this ball is non-toxic and safe, even dishwasher safe. This soccer ball is not inflated like a real soccer ball, it is hollow and has enough give to it that your dog can easily grab it and have fun playing fetch. This chew toy is virtually indestructible, and it is even guaranteed. Perfect for aggressive chewers who love to play fetch. This toy also floats, making it great for dogs who love to swim. With safety in mind this toy has been designed to be so durable that it is guaranteed, and if your dog is able to chew through the outer layer of this toy to expose an inner red layer, Goughnuts will replace the toy for free. What’s great about toys from Pacific Pups Products, is that the purchases help to support Pacific Pups Rescue, a non-profit dog rescue in California. When you purchase a dog toy from Pacific Pups you can feel good knowing that you have helped to feed, and shelter a rescue dog. This XL rope toy is designed for large dogs and aggressive chewers. It is nearly indestructible, and has a 100% Money Back Guarantee. Rope toys are perfect for tug-of-war, chewing and cleaning your dog’s teeth. Pacific Pups Products rope toys are guaranteed safe, and they have passed the highest standards of testing for lead, cadmium & Phthalates. They do not contain any plastic. Nylabone products are categorized by chewing style, from puppy teething to power chew. The Power Chew bones are made for dogs with an extreme chewing style. Nylabones are made with tough durable nylon, and are naturally flavored. Great for cleaning your dogs teeth and keeping an aggressive chewer busy. This pack includes a savory chicken bone, and an irresistible bacon bone. The Jolly Pets Romp-n-Roll ball with rope is made in the USA, and is designed to be kicked, tugged, thrown, carried and launched. Originally designed for horses, this ball is durable and tough, and comes with a Manufacturers Guarantee. Comes in 3 different sizes, and a variety of colors. This ball even floats in the water, perfect for dogs who love to swim. It will not deflate if punctured. In this article you have learned that no toy is 100% indestructible, especially to a dog who is very determined to destroy it. The great news is that nearly indestructible dog toys do exist and there are a great variety of them available for dogs of all sizes and chewing styles. It is important to buy the right size of toy for your dog, and always supervise your dog with any toy. The top 10 indestructible toys have been listed above, and they are all safe and non-toxic, your dog will be sure to have fun with any of them. Has your dog tried any of the toys mentioned above? Let me know in the comments below, I would love to hear from you. Hi Jenny, I really liked reading your interesting and informative article. The Planet Dog Orbee Tuff Soccer Ball caught my attention and looks like a fun toy. Great toys that our dog Fluffy will certainly like! I really like the fact that these toys are all safe and non-toxic. Fluffy will have a great time playing with it on the beach! Thanks for your comment. The Planet Dog Orbee Tuff Soccer Ball is a great choice, your dog Fluffy will like it. The great thing is that it is safe and non-toxic, and made to last a really long time. I am glad you enjoyed my article. Thank you. The tough chew toy choices for dogs are really great. I really need one for my dog since it will help my dog reduce stress and to clean his teeth. My question for you is, how often should i give this to my dog, is there a specific time or some kind of behavior to notice as an indication that it wants to chew? I really haven’t used any of them, and i am looking forward to having one for my dog. The choices for nearly indestructible chew toys are great, and any one of the toys I have mentioned would be a great choice for your dog. It sounds like you are lucky enough to not have had your dog destroy any items in your house. When a dog indicates that they want to chew, they will chew on anything in sight. You can introduce a chew toy to your dog at any time, and daily if you wish. Dogs love to chew and it is a great benefit to them as well. Chewing helps to relieve stress and anxiety, and helps to clean their teeth and exercise their jaw. Just remember to always supervise your dog with any toy, to avoid any harm to your dog or the toy. I hope this has helped you out, and feel free to ask me any other questions you may have. Tuff and KONG brands are the ones that we have tried, and pretty much anything those two brands offer are pretty good! We have had rope toys before for our dogs. They are nice, but I tend to find my dogs don’t like to chew on those much and will end up finding something else instead. I like the fact that you point out the safety aspect. So important when it comes to our pups as they are not just a dog, they are members of the family! When it comes to toughness and durability, KONG is really the leader of dog toys. Their toys are designed to last and are made with quality materials. The KONG Extreme is made for power chewers, and their line of toys are great. I guess we don’t realize how important chewing is for dogs. My sister has two dogs and I think she would benefit from these dog toys. Whenever I am over there her dogs always seem to be chewing on something, and I wonder how many of these she goes through. It’s amazing that they make these to withstand what the dogs do to them. It looks as though these are almost indestructible and yet they are machine washable. I always see dog owners throwing frisbees so I think that would be a good one for sure. How long do these usually last? Chewing is a natural habit for dogs, it helps to clean their teeth and exercise their jaws. Chewing helps dogs relieve stress, energy, and anxiety. No one wants their dog chewing on something they shouldn’t like furniture or their shoes. That’s why dogs need tough chew toys. The frisbee from West Paw is a great one, it flies really far and is lightweight and gentle on your dog’s mouth. The bright colors are perfect for being able to locate them in the grass or the water. This frisbee is very durable and will last a long time. If the frisbee gets damaged or you do not love it, then West Paw will replace it for free. Hope this helps you out, if you have any other questions please ask. Thank you for commenting. In the future, I am looking forward to being a dog owner. 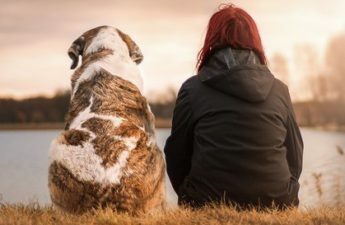 No one can deny the fact that dogs are really a Man’s best friend, I love dogs and how loyal they are and how useful they can be once given the proper training. I always wondered about what some of the best dog toys that I can buy in the future are, and I loved that you named a few on your website. I will be looking into buying a few once I get my dog. I do not want to get anything that will harm my pet or put them at any risk, so thank you so much for sharing. Love your website ! Being a dog owner is certainly rewarding, and yes they are a mans best friend but also a woman’s! I am glad to hear that you are looking forward to being a dog owner, and that you are taking the proper steps to ensure the safety of your dog’s toys. All of the toys that I have mentioned in this post are safe and non-toxic. Thank you for your comment, and I wish you all the best in your future role as a dog owner. My dog sometimes can be very annoying, as he does not feel bad about tearing everything he takes to his mouth. I have tried getting him more play toys for dogs, but it appears he does not want the toys i got for him, instead he goes on his own and starts playing aggressively with me or my shoes what do I do? It could be that your dog is trying to get your attention, and is perhaps bored with his own toys. Your dog most likely is seeking more human interaction from you, and wants to engage in playtime with you, not just the toys that you provide. A good idea is to engage in some playtime with your dog, try playing some tug-of-war with your dog, or play fetch. All dogs need a good amount of playtime, as well as mental stimulation to keep them from getting bored or destructive. I am not sure how old your dog is, but if your dog is still a puppy or a young dog then his activity level is still very high, and it will take some time for your dog to release all that built up energy. Dogs need a good amount of exercise daily, and certain breeds require more. I hope this has offered you some clarity, and if you have any further questions, please don’t hesitate to ask. A dog certainly can be a determined creature! Luckily we had a little Maltese x Silky and he wasn’t an aggressive chewer. He did love the soft plush toys and was more likely to try and get frisky with them than chew. Thanks for your great list of super tough chew toys – this will be great if we decide to get a chew-mad dog in the future. Thank you for commenting. Soft plush toys are great for those dogs who do not rip them to pieces, they are meant for gentle chewers. I am glad you enjoyed my list of tough chew toys, and it is good to keep them in mind should you ever need to get any in the future.